When third generation Dogtown skater, Eric Tuma Britton is your skateboard teacher, it automatically gives you an edge. Not only because he's been a professional skater for most of his life, but because he's right in there with the student, literally holding their hands. Britton was born in Culver City and raised in Venice. 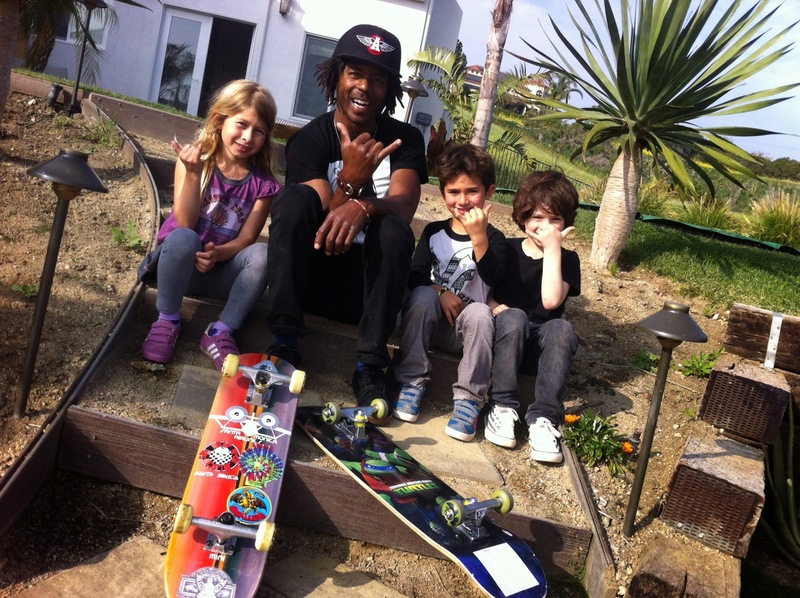 More precisely, he was raised by skateboarding in Venice. 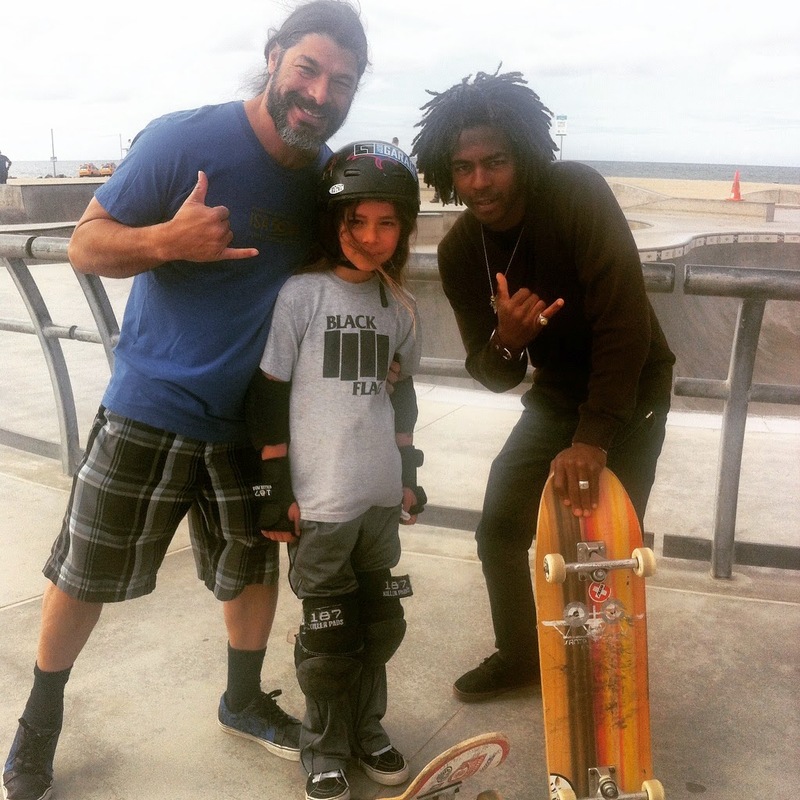 He was given his first skateboard at the age of 5 by his father, and as it was a very surf and skate culture at the beach, he started skating a lot. A LOT. And making friends with the very legends who founded the sport, becoming a full fledged member of the Dogtown family by the age of 12. Britton still says that the highlight of his entire career was "turning pro for the legendary Skip Engblom," of Santa Monica Airlines (in 1991), and for whom Britton's respect is palpable. Turning pro at a young age meant having a lot of freedom, a bunch of money, traveling a lot, not having much responsibility, and living a full-on punk rock lifestyle. For many around the country, it was a time of skating still being seen as unacceptable and rebellious, but at SAMO High, where Britton attended school, they were the cool dudes, skating in from the beach. It was good times. 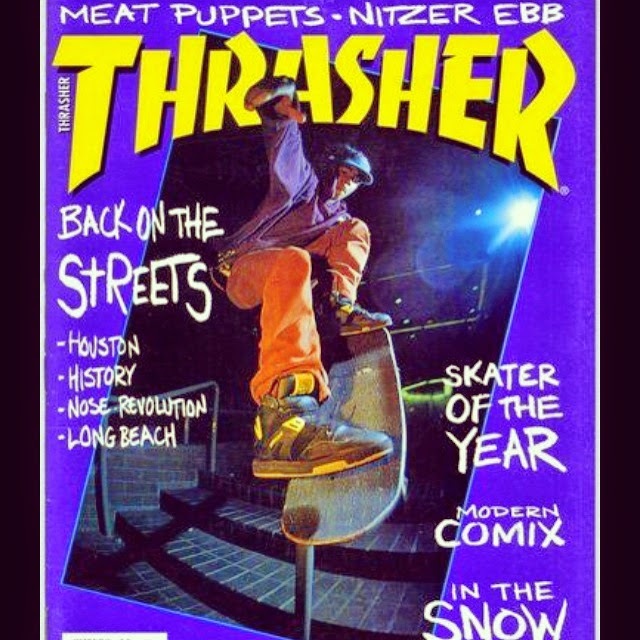 Britton hanging out with all the legends (like Natas, my favorite, and who gave Britton a skateboard when he'd hang around on Santa Monica's Fraser Avenue with Kaupas), learning all the tricks, and being featured on the cover of Thrasher in 1992. It was all great, until Britton gave up skating for six years, neither the scene or Britton being that into it anymore. He did well at modeling - and partying - during those years, but when Juice Magazine moved to Venice in 2000, it brought both the scene and Britton back to skating. And skating HARD. "It made me feel good. It brought my drive back to do something for myself, it brought the vigor for the sport back," reflected Britton on the scene at the time. 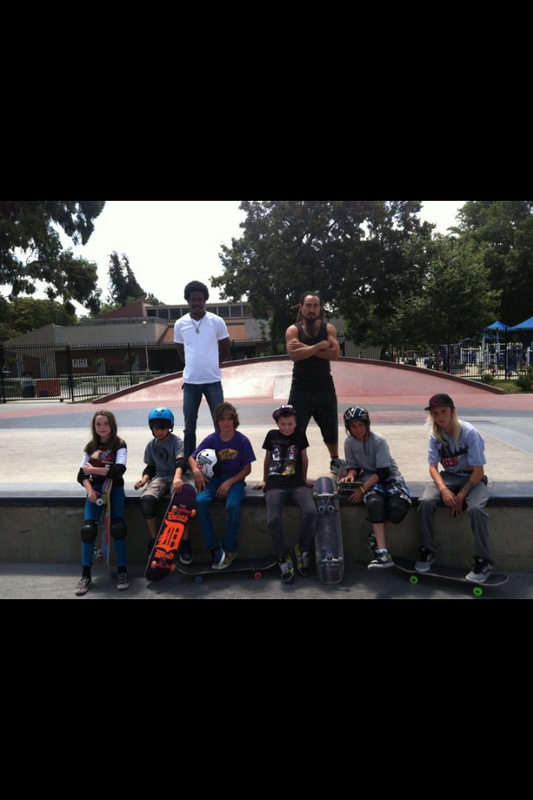 Fellow pro skater, Bennet Harada had been teaching skate lessons to local kids. One day, Harada asked Britton if he could pass a lesson off to him, and Britton accepted. He found that he immediately connected with the kids, and that teaching came completely naturally to him. So much so, that now it has become a real business, with more students signing on all the time. A big part of Britton's success (all word of mouth!) with teaching kids (or the young at heart, the midlife crisis, the bucket list, whatever) comes from his ability to be childlike himself. From his willingness to get in there with them, to have fun with it, to make them comfortable through holding them and letting them register how a move feels as he does it with them, and by really being ultimately more than a teacher to these students, but a mentor and a friend. At the skatepark, and in out in the world. Another reason that Britton is so good with kids might be that he is father to perhaps this town's most darling kid, Taj. Who is six, and has been skating most of his life ... just like Dad. Testimonials from kids and parents alike all sing Britton's praises. "He has such patience!" "He has such a gift for this!" "I love Tuma!" "He's such an amazing teacher!" All true. When Britton hears those compliments, "My heart melts. It gives meaning to what I do." And you can feel the meaning behind it when he says that. 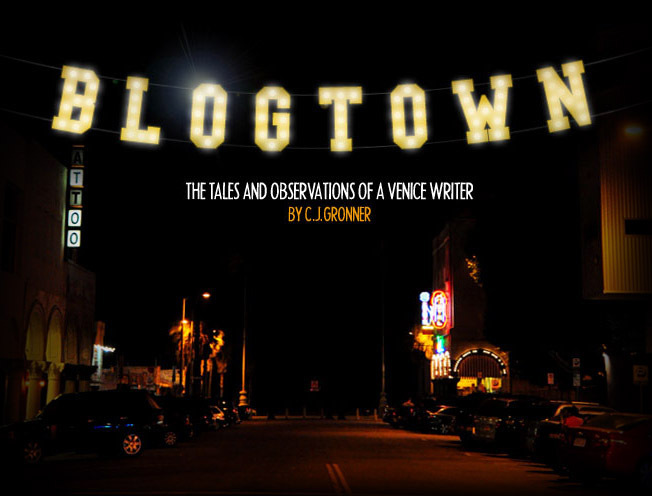 I spoke to Louis Ryan (proprietor of Venice's Townhouse), whose eight year old daughter is a student of Britton's, to get his take on it. "Tuma is a natural teacher. It's not like a coach feeling, he made it fun. He gets in there and jogs next to her, and she did really well. 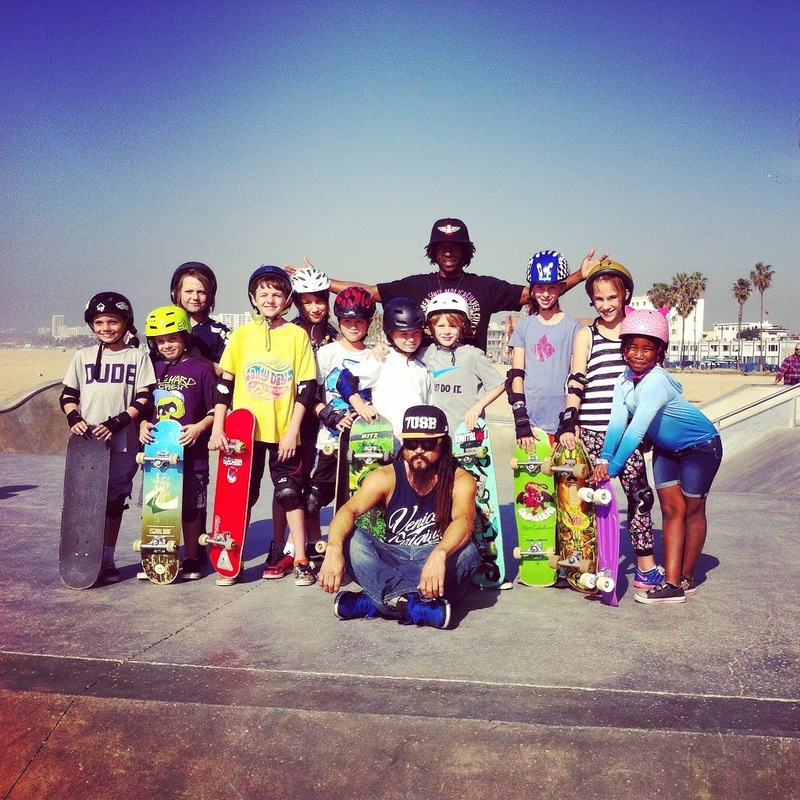 You can see the respect he gets at the skatepark ... he's an amazing teacher. The style and grace that he teaches her exudes off her after her lessons ... and it's helped with her surfing too!" 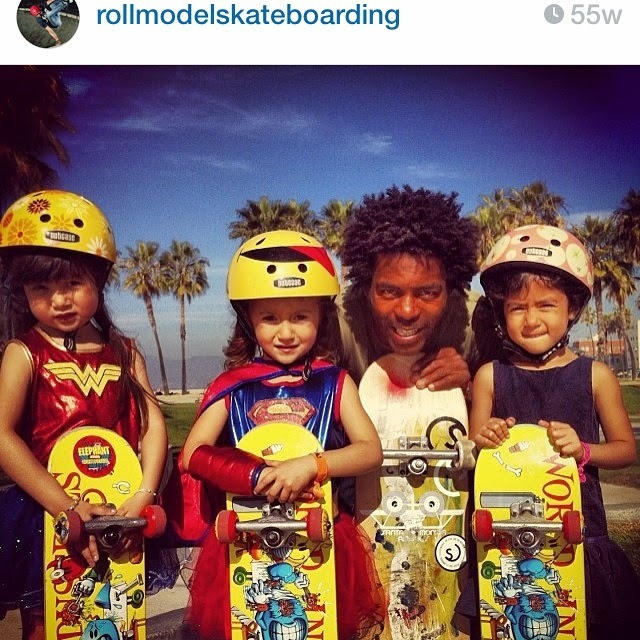 Which is great, because that's the master plan for Roll Model Skateboarding. So many people want lessons that it's probably time to get a real warehouse facility, with means for other employees to help with the demand, skate camps, surf workshops, skate trips, contests ... all that good stuff. It's time. 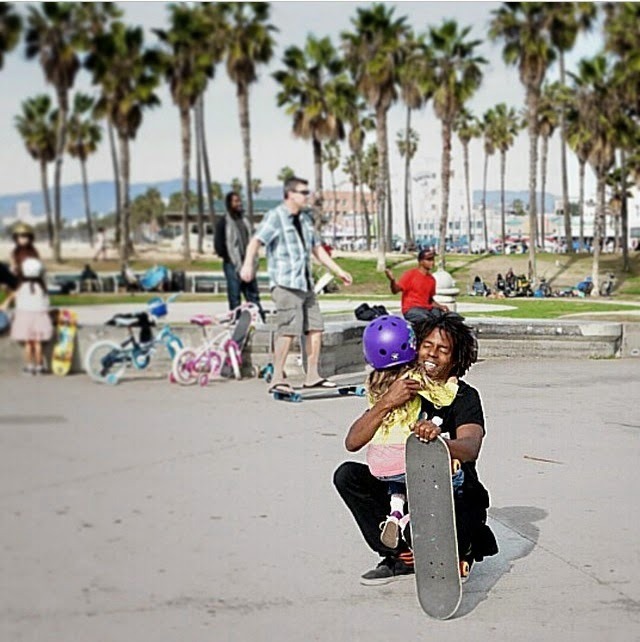 It's time for Venice kids to get involved too! Britton told me that the majority of his students are from Malibu, the Palisades, and Santa Monica ... with only a few in Venice! (But awesomely, almost all Venice girls!) 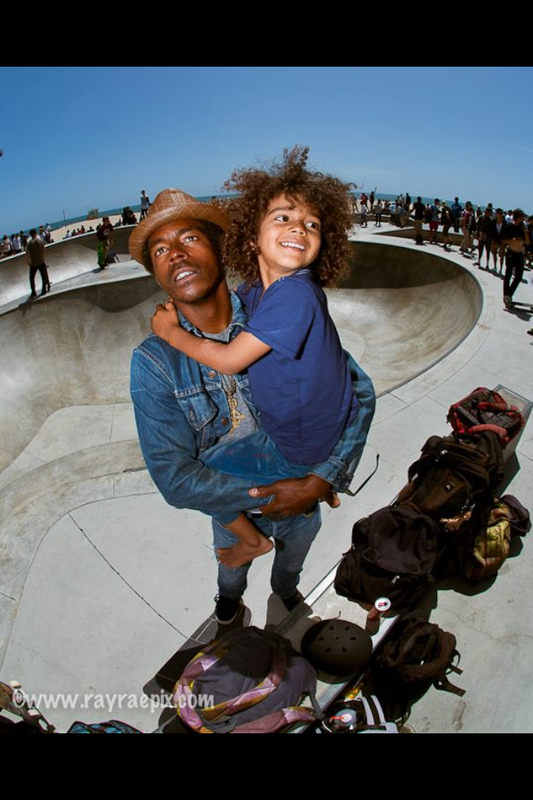 With our beautiful skatepark, and our legendary history as a skateboarding mecca, there needs to be future generations of rippers from Venice. Lessons with Britton are about as good a place to start as there is. In speaking about Venice, Britton told me about how when he was growing up, it was the ghetto. It was unsafe. People either lived there or went there to get drugs, but with all that, there was still more community, more culture, more of a family feeling. "The poor artists are doing the most creative stuff. The monied people want to buy into that, and sanitize the area. That might be better for kids, but it's taken away that family feeling, and what bothers me is the families of color are being displaced." Yes, that bothers me too. Because we're better than that. And we know it. "Skating has been my entire life. I kind of fell into teaching, but I didn't expect it to be so fulfilling and heartwarming," Britton told me genuinely. "You get back such a heartfelt response from the kids, you can see the gratitude in their faces when they get it." Those kids have sent him letters of thanks, and sent him new students so they can have skate buddies, and that's how it's all growing bigger every day. "It helps kids keep on the right track. Skateboarding has done miraculous things in my life. I've had my struggles. Life isn't easy. It can be brutal. You're gonna fall down. You're gonna get hurt. But skating teaches you to persevere. To get back up. To push forward until you get it." That can apply to everything in life, of course. What good lessons to learn as a little kid, while having a complete blast! Like Britton tells the kids, "If you believe you can do something, you will. In skating, or in life." You. Will. I may be wrong but im pretty sure you can't buy skateboards like that. If you want speed get a longboard and carve down hills or just get a normal skateboard you can still go pretty fast on them. Or instead of an electric skateboard you could get an electric scooter. If your clever enough tho you could make your own one.... might be a bit dangerous tho xD. I’d like to see volleyball or baseball have some direct real life application (okay, the sports kind of have,you can run faster and what not but still! It’s different from longboarding’s practicality). Longboarding is a lovely game i really enjoy it. great post. i love the graphics.